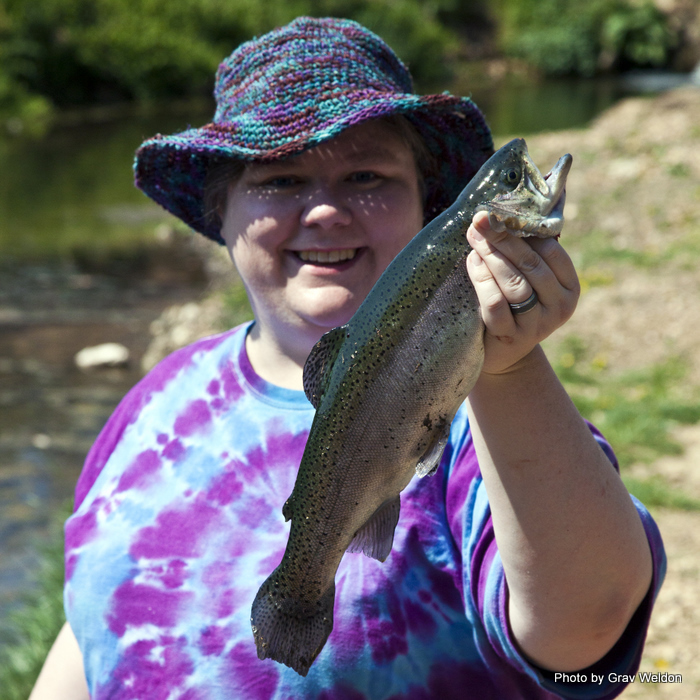 Culinary Tourism: Eating the Natural State. In the age of divisive politics, food has become the universal neutral. It’s both a comfort and a luxury. Food Network and The Cooking Channel have taught us that everyone can cook, and adventurers like Anthony Bourdain have shown us that food can be as integral a part a destination as any attraction. It’s a language you don’t need lessons to learn. The act of breaking bread together hints at an acceptance between two parties, a shared medium for discussion and amusement. When you talk with someone who returns from a trip, you are bound to hear about the dining experience. When you go to another city, a foreign locale or somewhere exotic, you go “native.” The concept of “When in Rome” takes hold strongest when we are hungry and in need of adventure. This exercise, this new practice is at the roots of the idea of culinary tourism. Food also builds the identity of a place. Let’s try an exercise. What’s the first food you think about when I name these cities? When I say Philly, you say… cheese steak. When I say Memphis, you say barbecue. When I say Boston, you say cream pie. When I say Denver, you say omelet. When I say Buffalo, you say wings. When I say Peking, you say duck. It works for states, too. When I say Mississippi, you say Mud Pie. When I say Georgia, you say peaches. When I say New York, you say Cheesecake. When I say Arkansas, you say… what? What do you say? Because that’s up for debate. What is Arkansas food? Our legislature defines a few specifics. The state’s grain is rice. That’s pretty straightforward… after all, if you drive across just about any part of East Arkansas you’ll see flooded fields where it’s getting ready to come up. State drink is milk. Does a body good. Our state fruit AND vegetable is the South Arkansas Vine Ripe pink tomato. We celebrate a lot of foods here. 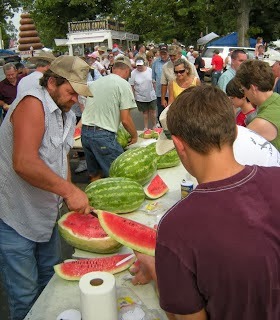 Hope claims to have the world’s largest watermelons, while Cave City lays claim to the sweetest. Johnson County has peaches. Altus, grapes – lots of grapes but particularly Arkansas muscadines and the Cynthiana. Emerson celebrates the PurpleHull pea. We raise chicken, hogs, buffalo, catfish and rabbits; we hunt deer and duck; we grow and process okra, squash, winter wheat and soybeans – now even as Edamame. Our state sandwich might as well be the Reuben; there’s a version of the corned beef on rye with dressing on about 80 percent of our non-ethnic restaurant menus. The Reuben shouldn’t make sense here. Its culinary roots come down to us from Chicago through Oaklawn Park, where pickled corned beef has been brought to the kitchens in huge tubs from the Kelly Eisenberg Company since the park opened back in 1904. 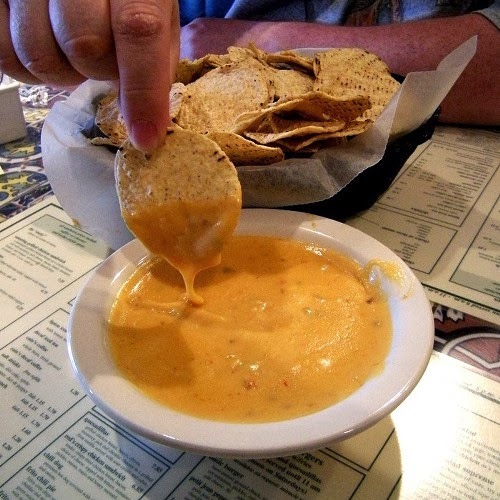 Cheese dip was born here, courtesy of Blackie Donnelly, who went to Mexico and came back and stirred up this spice-packed yellow concoction at Mexico Chiquito in North Little Rock. It’s been served since the 40s. Dozens of restaurants these days claim they have the best – Stoby’s, Pancho’s, Arkansas Burger Company, Juanita’s. 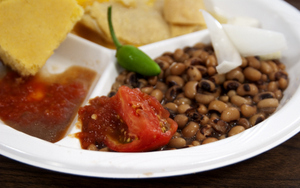 This month Arkansas will be represented at the World Roadfood Festival in New Orleans by Dogtown Coffee and Cookery, who do their own great homage to Blackie’s original dip. Some say chocolate gravy got its start in the Ozarks… whoever decided to throw that cocoa in the skillet with flour, butter and sugar, thank you so much. 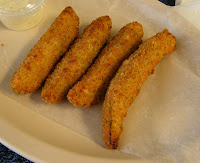 Fried pickles came to us out of Atkins, where Bernell “Fatman” Austin served them up from the sixties on out of the Duchess Drive In. Possum pie might as well be the state pie; you can find that layered delight in restaurants all over. Some of our food traditions are drying up. When’s the last time you went out in the backyard and dug up some sassafras root for tea for your sore belly? The last time you put sugar on your rice for breakfast? Put some sorghum molasses on your cat-head biscuits? Had yourself a mess of poke salat with some crackling cornbread? We don’t eat the way we used to. Even in our manufacturing, some things have just gone away. We used to have the Finkbeiner Meat Packing Company, which was the first place anywhere to make cheese-filled hot dogs – right in our state’s capital city. 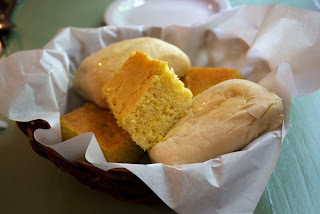 Brown and serve rolls were created in Little Rock by Meyer’s Bakery back in the ‘30s. Some have come back. 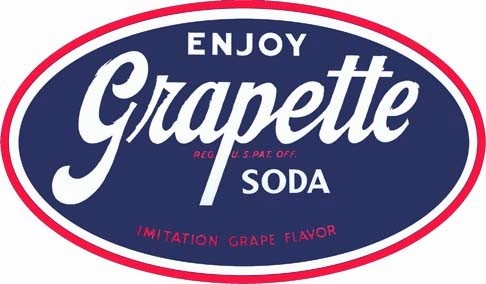 Grapette and Orangette came out of Camden in the 20s, one of the “Fooks Flavors” sold out of the trunk of Benjamin Tyndle Fooks’ car. They died off in the 70s after being sold a couple times over, only to be brought back by the Wal-Mart folks in 2000. And Yarnell’s, which closed its doors in June 2011 to the heartbreak of millions of Arkansawyers, will reopen soon in Searcy under new ownership. We drink iced tea. 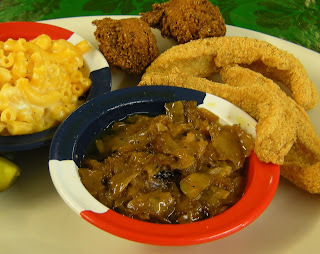 We batter and fry our catfish and serve it up with green tomato relish and hush puppies. We like jelly made from just about anything in the world, including muscadines, jalapenos, raspberries and pecans. Our oldest restaurants still serve up club crackers while you wait for your meal, either with butter or with a little homemade salsa – no one really knows why, just that you just eat these things when you are brought to you. Sliced tomatoes are a side dish to themselves, cabbage is delightful fried and our strawberry shortcakes are made with berries, sugar and biscuits. Our barbecue is pulled meat – pork in the east, beef in the southwest – and always accompanied on white bread or bun with coleslaw. And most places are like as not to have pie – be it cream, meringue, fruit or fried. We love down home cooking and sitting down for a noontime meal together, eating what we catch and shoot and pull out of our gardens. Some folks don’t understand all that; we've moved away from our rural culture this past generation and it’s getting to where we have kids who have never sat on a deer stand or pulled weeds or shelled peas. These days, there’s a new generation of chefs and historians who are still trying to grasp those roots and pull us up to the realization that we have a special sort of cuisine here in Arkansas, always have. And it deserves to be celebrated. So we have this culinary heritage of eating what comes from our soil and our forests, and of these unique things we have created in our kitchens. 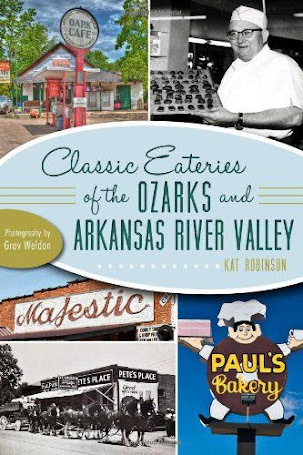 And we are so lucky to have many of the restaurants that have shaped the flavor of Arkansas still in business today. 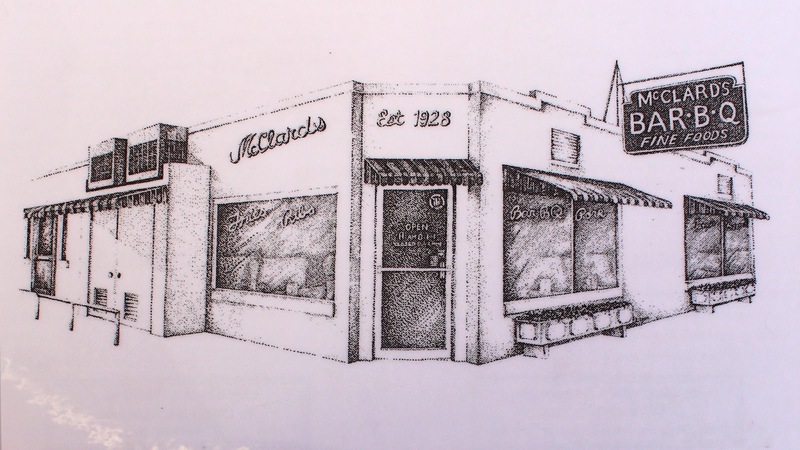 Take McClard’s Barbecue. Back in 1928 Alex and Gladys McClard owned the Westside Court Motel on Albert Pike in Hot Springs. They had one lodger who, after spending two months at their motel, couldn’t come up with the $10 he owed on his bill. He made them an offer – a recipe for what he called “the best barbecue in the world.” Not long after, the McClard’s closed down the Westside Court Motel and opened Westside Barbecue… smoking goat. 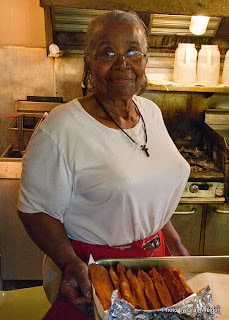 They moved down the street and opened McClard’s BBQ in 1942, and it’s been there ever since. They don’t serve goat any more, but they do serve pork ribs along with chopped pork and beef sandwiches. They’re still made with chopped cabbage and a layer of mayo on the bun, and they still offer a huskless tamale that you eat with saltine crackers. Chocolate malts are still served in little luncheon glasses with a squirt of chocolate syrup. 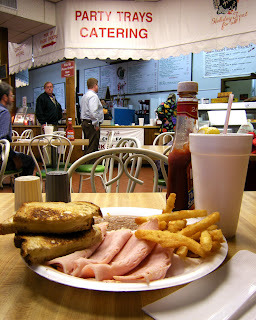 Franke’s Cafeteria is Central Arkansas’s oldest continuously operating restaurant. It started out as a bakery in downtown Little Rock in 1919. Five years later, C.A. Franke reopened it as a cafeteria at Capitol and Louisiana. It’s moved a few times, grown some branches, and today you can dine downtown or out west at Market Street. The food never changes at Franke’s, which is a blessing to food lovers and historians. You can still go to the start of the line and choose any of a selection of congealed salads – tomato aspic, cherry Coke salad, buttermilk pineapple, pistachio, Waldorf and cranberry. The Escalloped Eggplant Casserole, the grilled salmon patty, the corn pudding… all are as they have been for generations of diners. Other restaurants have stood the test of time, such as the original Dixie Pig in Blytheville, open since 1923 and still serving up pork barbecue with a vinegar based sauce. The White House in Camden has more than 50 types of beer available and has been doing mean steaks since 1907. Some restaurants which have stuck around for a while but evolved still serve up a few of those old classics. Batten’s Bakery up in Paragould still makes the original chocolate fried pie, a glazed crust filled with a mixture of cocoa, sugar and butter, not the pudding-like custard that has become common in recent years. A lot of those traditions stand today on forceful personalities, such as Rhoda Adams. The Lake Village resident still gets up each day, ties tamales for steaming and packs them in coffee cans to sell to travelers. Woody Woodward crawled out of his cropduster back in 1985 and started to sell pork barbecue with his wife out of an old RV at the crossing of Highway 14 and 49 in Waldenberg, and still does to this day. The DeVito brothers still run a trout farm at Bear Creek Springs, where you can catch your own and have it for dinner. We’re building new traditions, too. Have you watched any of these food programs lately? Read magazines or the paper? If so, you may be aware of the biggest movement in food these past few years. It’s not some special hot item or nouveau cuisine they’re talking about. The big focus has been on the locavore movement. Loca- for local, -vore for omnivore. Broken down, it simply means eating everything from where you are. Here in Arkansas there’s a crop of restaurants that’s taking this to heart. One of the most noted examples is Chef Lee Richardson at The Capital Hotel in Little Rock. Lee came here to Arkansas after Hurricane Katrina chased him out of New Orleans. He set up shop here and has decided to make Little Rock his home. He’s committed to both the locavore idea and to bringing back the roots of Arkansas cuisine. The menu at Ashley’s at the Capital is littered with Arkansas foods: rice grits, tomato jam, pan roasted duck breast, blackened cornbread and brown butter catfish – all new interpretations of old favorites. Across the lobby at Capital Bar & Grill you’ll find spicy meat pies, house cured meats, Andouille gravy and chips, warm soybeans with salt and butter, housemade soda crackers with pimento cheese and those complimentary fried black eyed peas. Just about everything prepared at the two restaurants comes from within or close to Arkansas’s borders. Up in the little Ozark town of Jasper, you’ll find a place called the Boardwalk Café. Joseph and Janet Morgan have made a big commitment to serving up local fare. They have a burger that comes completely from within a 100 mile radius, with a choice of beef or buffalo from Ratchford Farms in nearby Marshall, locally grown produce from inside Newton County and buns made near Fayetteville. The restaurant landscape is changing everywhere as people grow more curious about where their food comes from. They want to experience the flavor of a place, everything from the taste of the food to the atmosphere it’s served in, and they want to take away something from that experience. So, we’ve talked about our foods, where they come from and who serves them up. I have a question for you. What’s the first thing you do when you go somewhere you haven’t been before? You look for a souvenir that will remind you of a place. I do this. I go to Louisiana, what do I bring home? Chicory coffee. Hot sauce. Pralines. I go to Wisconsin, I bring home cheese curds and Cherry Dee-Lite. Dallas? Dublin Dr. Pepper, pecan patties and Uncle Willie’s buttermilk pie. Does anyone know what sort of products Arkansas is known for outside of Arkansas? I will tell you this. I have found one particular Arkansas product on tables at some of the finest restaurants in the United States. That… is Mountain Valley Water. The distinctive green bottle with the red or blue label (red’s for the spring water, blue for the sparkling) has replaced Perrier as the house water of choice at some of the finest dining establishments in the world. That’s a pretty cool thing. But what else? A lot of people might say Tyson. Yes, headquarters for Tyson is here. And yes, they should be supported. There’s Riceland. The company got its start in Stuttgart way back in 1921. Riceland’s not just a manufacturing company; it’s actually a farmer owned cooperative with more than seven thousand farmer members. It’s the world’s largest miller and marketer of rice. Riceland rice is sold all over the United States and all over the world. We’re not just talking about white rice here; we’re talking about brown rice, specialty rices, rice flour, rice bran oil, milled rice… stop me if I’m starting to sound like Bubba in “Forrest Gump” but they do a lot of stuff with rice, and with soybeans as well. 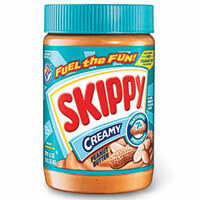 Did you know Skippy Peanut Butter was made in Little Rock? No joke. Well, sure, Skippy is made other places, too – but since 1977 there’s been a plant here going strong, packing up both creamy and chunky versions. If you’ve ever been by the plant, you know that roasted peanut sensation. Cheese straws come from Little Rock, too, just down the road from Skippy. Twenty years ago, Jamie Parham took a 100 year old family recipe for cheese straws, made them up from natural ingredients and baked them and started selling them. The company’s name comes from Janis and Melanie – the daughters of Jamie and her husband Greg. Today, J&M Cheese Straws are nationally known, as are the delicate yet powerful tea cookies they make and sell. A lot of steaks and burgers in Arkansas have a particular flavor to them, thanks to Cavender’s Greek Seasoning. Spike Cavender, back in the sixties, had a friend in the restaurant business who was close to passing away. This friend gave Mr. Cavender the spice blend recipe. 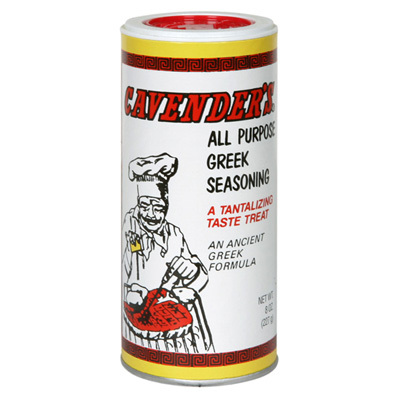 In 1971, Spike’s Greek Seasoning was renamed Cavender’s Greek Seasoning because of a trademark issue. These days, you can find Cavender’s coast to coast, and even as far away as Japan and Iraq. Spike’s granddaughters, Cara Cavender Wohlgemuth and Lisa Cavender Price, run the business up in Harrison. Petit Jean Meats came about in 1926, when Felix Schlosser and Ellis Bentley opened a meat market in Morrilton. The Ruff brothers, who delivered products for the company, took over its management in the 50s and have kept this Arkansas manufacturer growing all these years. Petit Jean Meats sells hams, bacon, summer sausages, hot dogs and all sorts of other meat goods all over Arkansas – and last year they broke into Texas with a partnership with the Dallas Cowboys. 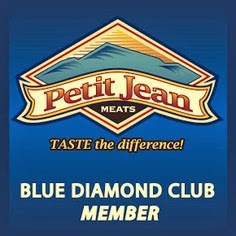 Petit Jean Meats have an Arkansas flavor to them that I’ve never found duplicated elsewhere. And then there’s Burge’s… an operation out of Lewisville that also runs an old-fashioned drive-in restaurant down in southwest Arkansas, as well as the great lunch room up in the Heights in Little Rock. What’s Burge’s known for? Smoked turkeys, of course, still brined and smoked the way Alden Burge started doing it in his backyard in Lewisville in 1953. The dark meat on those turkeys, I swear, tastes just like ham. Marvelous. But those aren’t Arkansas’s only meat manufacturers. Did you know we have the largest rabbit meat manufacturer in the United States up in Rogers? Pel-Freeze got started from a rabbit named Betsy Ann, a pet given to Herman Pelfrey’s son all the way back in 1911. The pregnant rabbit soon multiplied into an overabundance of rabbits, and the H. F. Pelfrey Company came out of that. 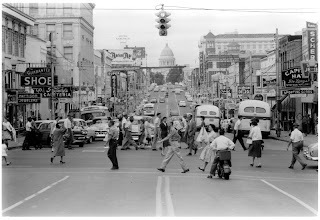 Pel-Freez came to Arkansas in 1947 via Robert Dubbell, who married into the Pelfrey family and moved the operation here. Then you have one of the oldest mills in the South. 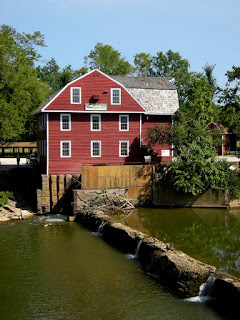 The original War Eagle Mill was built between 1832 and 1834 along the War Eagle River outside of Rogers. That one burnt in 1848 and another was built. In fact, the current facility was built in 1973 and still operates with an undershot water wheel today. All the grain ground at War Eagle Mill is certified organic, as is the restaurant on its fourth floor, The Bean Palace. At War Eagle Mill, you can pick up several different sorts of flour, corn meal, mixes and more. And what goes with all that? Philip F. Bryant knew dang well what did – condiments. Today, the Bryant Preserving Company in Alma makes Old South brand pickles – regular pickles, pickled okra, pickled watermelon rind, pickled asparagus, carrots, beets, jalapeno slices, mushrooms, onions, eggs – yes, pickled eggs – and a product known as the Tomolive, which is a tiny pickled green tomato great for using in martinis. Most of those companies have big distribution… they’re available by mail order from anywhere and you can find a lot of those products close by. And then there are the smaller producers. We have just outside of Little Rock a tiny jelly maker known as Bear Kingdom Vineyards. Dennis Kolb has been making jelly since he left home as a young adult; he and his wife Linda started up their own vineyard and then a company in 1995. They’re making jelly from Arkansas grapes, scuppernongs and muscadines and packaging them in Arkansas glass with Arkansas labels. And their Cherub’s Rapture may be the most amazing thing ever done with an Arkansas raspberry. And then there’s L. C. Ratchford. He retired from welding to, well, do some welding. Built up fences and corrals all over the family homestead outside of Marshall… and acquired a herd of buffalo. Today you can purchase buffalo steaks, roasts, ribs and such along with jerky and buffalo sticks, elk products and of course beef from the family farm… over a three state area. L.C. gets up several mornings a week and drives fresh meat from the farm out to locations all over Arkansas, Missouri and Oklahoma. I noticed lately he’s been selling peas and jellies made out there, too. Then you get into Arkansas and its candy roots. Who among us hasn’t at some point or another picked up a bucket of that famed Juanita’s brittle? They make peanut, cashew and pecan brittle, perfectly thin and crispy. 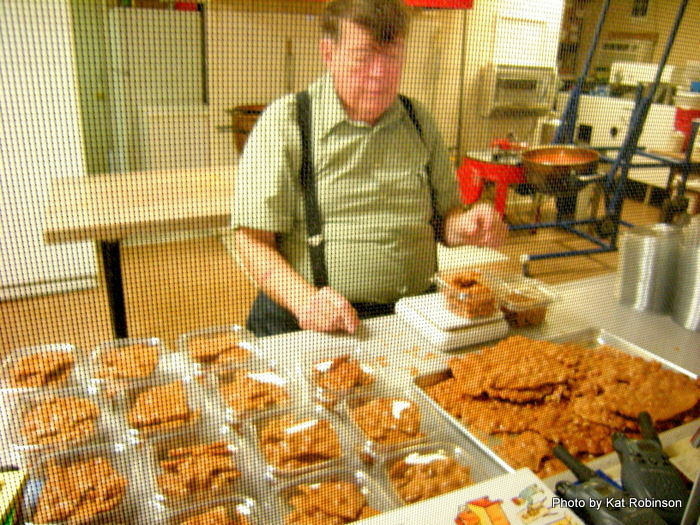 They are now the only brittle-maker in Arkadelphia, but I bet they’ll be there a while. M. L. Greer and his chocolates. And then there is the Greer family heritage here in Arkansas. Martin L. Greer started making candy in 1924 to sell along with the family’s produce at market. A Greek candy shop in Texarkana hired him on, and he worked his way up, apprenticing at a series of candy shops across Texas. He came back here and got a family started, and in 1956 Kopper Kettle Candies was born in Van Buren. Martin L. Greer didn’t spawn just one candymaker. 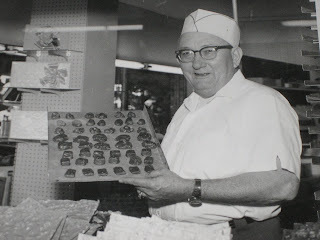 His namesake, son Martin Greer, learned alongside his dad and for a while back in the sixties he made the candy they served up at Silver Dollar City. Dr. Martin Greer has been an educator and an animator and has researched every candy made at his place up in Gateway. Everything sold there is made in the shop – excepting the soda in the refreshment cooler. His son Uriah is learning the craft, too. We have fudge makers as well. In Eureka Springs, there’s Two Dumb Dames Fudge Factory. Run by Lana Walker and her daughters BJ and Amanda, the shop specializes in small-batch fudge and candies from family recipes – and they ship just about everywhere. In Conway, a new one has sprung up – PattiCakes Bakery. It’s the inspiration of Patti Stobaugh… wife of Stoby’s founder David Stobaugh. The bakery is known for cakes and pastries – but also makes a fantastic fudge available by mail order. The latest candymaker on the scene in Arkansas with massive appeal is a little operation in Heber Springs called Lambrecht Gourmet Toffee. I probably shouldn’t say little. 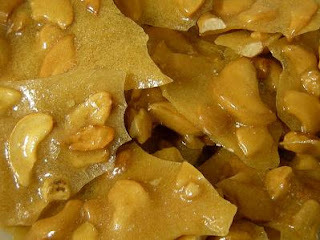 David Smith started out making pecan toffee for holidays for friends and family. When he started managing the Red Apple Inn, owner Patti Upton asked him to start making it to sell at Aromatique’s shop. He and his wife Nancy went from there to candy shows in Dallas and Atlanta and in 2002 started selling his product as Red Apple Inn Southern Pecan Toffee. The company grew so fast that five years later Lambrecht Gourmet Toffee was founded. Today you’ll find it for sale in gift shops and grocery stores in 45 states – and on your pillow when you stay overnight at the Capital Hotel. And then there are macarons. Mary Jo Selig and Clare Thomas Williams were looking for macarons to serve at the wedding of Selig’s son and William’s daughter, and every place they’d order from they’d get broken macarons. So they decided to do it themselves. MaryClare Macarons was born, and now these ladies are selling their gourmet macarons direct to consumers and through The Savory Pantry in downtown Hot Springs. 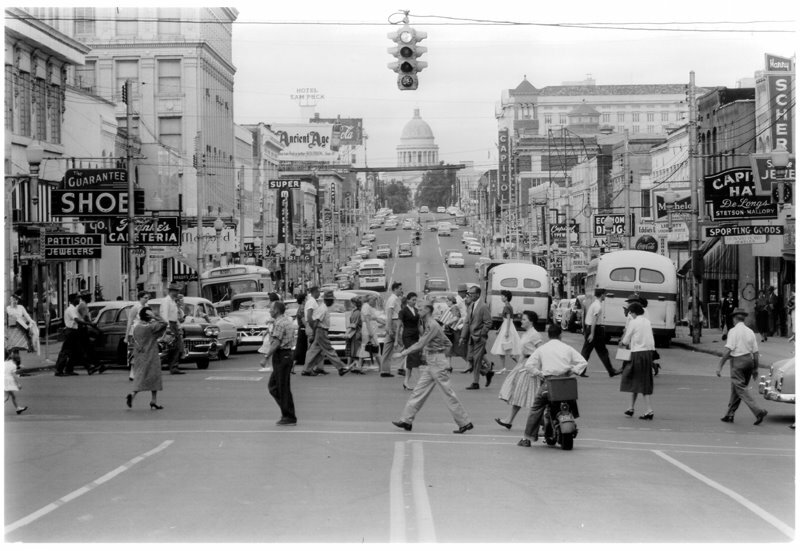 Now, here’s one more for you – right here in West Memphis. It’s not a single manufacturer, but it could be the birthplace of something fantastic. It’s the kitchen incubator project. This facility, which is coming into play soon, is a six thousand foot licensed facility where local entrepreneurs can lease time to create wares such as jellies and jams, dips and other pre-packaged foods. It’s going to allow a lot of folks to be able to create these items without leasing out space in another state or building a private facility of their own. Fascinating project. I haven’t even made it into beverages, but I believe I should – especially because they have a special circumstance set upon them. That would be our alcohol. Our state’s laws make it illegal to have wine shipped to your home – any wine, whether it’s made here in Arkansas or not. Fortunately, we have distributorship around these parts that means you can pick up most Arkansas wine at most Arkansas grocery stores. I wish we had more restaurants serving Arkansas wine… but I’ll get to that down the way. Arkansas winemaking dates back to 1880 – though I suspect wine was being made long before then in this state. 1880 is the year our two oldest wineries opened – Wiederkehr Wine Cellars, started by Johann Andreas Wiederkehr atop St. Mary’s Mountain above Altus – and Post Familie Vineyards, started by Jacob Post in the valley below. The wineries both survived Prohibition and generations later continue to grow. Today, both by direct lineage and by marriage, all of the Altus wineries are tied together by family bonds – including Mount Bethel, Neumeier Winery and Chateax Aux Arc. Due south across the river in Paris, you’ll find the masterworks of Arkansas winemaker Bob Cowie. In recent years we’ve had three more wineries pop up. Doug Hausler and Edwige Denyszyn have started an organic locally based winery in Eureka Springs called Keel’s Creek that focuses on Ozark grapes. Their wines are made from squeezed grapes only – no concentrates here. There’s Raimondo Winery, the little winery growing up in Gamaliel. Margie Roeland has picked up the family trade, moved here from California with her husband and is not only making wine but vinegars and oils as well at the Blue Lady Resort, which they own on Lake Norfork. And now Tontitown Winery has come into the picture. Heather Peachee took memories of squashing grapes in the basement as a child to make the family’s homegrown wine and created a new winery. 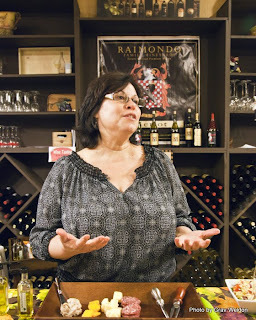 She and her husband David now run the area’s only winery in the old Taldo House. Arkansas wines are often assumed to be fruity and sweet, but I’ve found that’s not really always the case. Yes, we have our muscadine wines and such, but some of our newer wineries specialize in much dryer fare, and some of the older places are getting on-board. I’d personally like to see more Arkansas wine offered on menus of restaurants all across the state. Then there are the other alcoholic beverages. Diamond Bear Brewery in particular has grabbed ahold of the market. The Presidential IPA keeps winning awards, and you can find Diamond Bear on tap all over Arkansas and in Mississippi as well. Refined Ale Brewery in Little Rock is Arkansas’s first minority-owned brewery. Made in three-barrel batches, the brewery offers light beer, ale and malt liquor and is the only malt liquor brewer in the South. And then we get into that gray area of moonshine… well, sorta. Rock Town Distillery in Little Rock is making up bourbon, gin, vodka and what it calls Arkansas Lightning – a whisky made from all-Arkansas grown corn and wheat. The Distillery opened in 2010 and already has bottles on shelves in stores and in many of our local bars. So we’ve gone through all these different manufacturers of good things to eat. What does this mean to you? Sure, you’ve picked up a history lesson today, but what was it all about, really? It’s an education. It’s hard to tell exactly where you’re going if you don’t know where you came from – and that’s a very big part of being a chef or a restaurant owner here in Arkansas. It’s nice to know our roots. But you don’t have to be in the foodservice industry to take part in the culinary experience. You don’t have to cook to share some of our food. Culinary tourism will do just fine on its own – but by pairing up lodging operators, restaurants, farms and communities, we can bring even more visitors to Arkansas to discover this unique experience. I’m about to utter a bad word here – one that consultants like to throw around a lot. It’s the word synergy. I’ve heard it a lot here and there, usually when someone is putting out their hand for a little money while trying to get you to talk to someone else and form a partnership. You don’t really need that consultant. You just need to know your community. Now, I am lucky, or blessed, or insane – I haven’t quite figured out which. But I have had the opportunity over the past five years to travel Arkansas’s highways and backroads. I have stepped in fields just starting to bloom – sometimes up to my knees in mud, but I’ve been there. I’ve been in the front rooms and kitchens of hundreds of restaurants from Eureka Springs to El Dorado. I’ve shared my experiences on a number of blogs and in several publications… and what I hear back, over and over again from readers, is this. 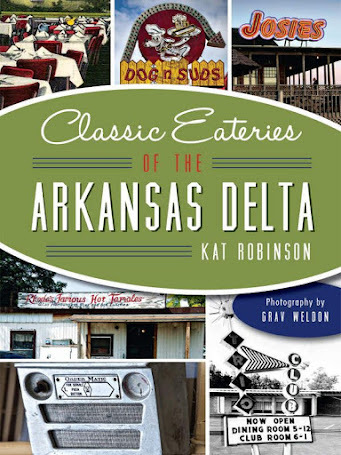 If anything, what I’ve been writing about all this time, what I have been selling, is the Arkansas food experience. And all I’ve really done is share my notes on what can be done almost any day. My experiences are only unique in the fact that I’ve searched them out and had them. There are very few things I’ve done that someone else couldn’t do. I’ve done it by sending out email and picking up the phone when I want to go somewhere. I’ve called the Post Familie and asked if I can come out and hang out in their vineyards and photograph grapes… and received not only a vineyard tour but a visit to the wine cellar and tastings straight from the tank. I’ve gone out to the Scott Heritage Farms, where Jody Hardin and Barbara Armstrong are growing all sorts of produce and raising antibiotic free chickens and hogs – and met Hercules, the nearly 600 pound Old Glouchestershire boar that’s the big papa of a budding organic hog farm. I’ve walked through the entire product line at Petit Jean Meats – backward, but all the way from the packaged hams and hot dogs through the entire hot dog making process. It’s not as disturbing as you think, and a minute in the smoking room there will make you feel like you’ve gone to barbecue heaven. I’ve walked right into the building at Cavender’s and asked for a tour and got one, right then and there! Got to see the whole packing enterprise and was about overwhelmed with the scent of Greek Seasoning. Martin Greer took my photographer and myself back through the candy kitchen and back to his studio – he’s a fantastic artist and animator – who knew? I’ve spent an afternoon in Dennis and Linda Kolb’s kitchen through the entire process of making a batch of Bear Kingdom Vineyard jelly, from the sterilization of the jars to the reduction of the jelly, the pouring and the capping and the labeling. And L.C. 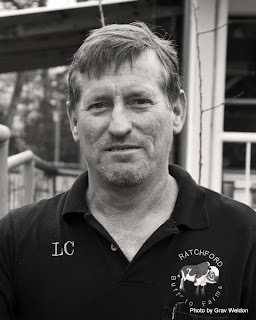 Ratchford, bless his heart, spent a day showing us all over his 400 acres of Searcy County farmland, which is a whole lot of up and down on Ozark hillsides, sharing with us the story of his farm and of the generational cattle herd he’s got up there. I got licked by a buffalo, I kid you not. The savvy culinary tourist will seek these opportunities out. But the average food lover? Unless you have it out there for them to find, they’re not going to seek out experiences like this, no matter how much they might want to enjoy them. That’s where you come in. To bring these food lovers to Arkansas takes just a little time, a little creativity and a little communication. It’s as easy as picking from one column and another, most of the time. Start with your lodging. Say you’ve got a bed and breakfast. You’re up making breakfast in the morning for your guests. What do serve them? Eggs and bacon and biscuits? Well, that’s nice. Sounds all right. But how about this? You could be serving them Petit Jean Meats Peppered Bacon, locally sourced fresh farm eggs, Honeysuckle Lane cheese, biscuits made from War Eagle Mill flour topped with fresh dairy butter and Bear Kingdom Vineyard jelly made from Post Familie Vineyard grapes. Served with muscadine juice. Suddenly you have an Arkansas made breakfast from Arkansas products. You might even keep a little extra product available for sale for your guests to take home. Of course, if you have a bed and breakfast, are you offering cooking classes? I know a lot of locations might not have a prime kitchen for cooking for more than one or two people at a time, but a lot do. Hotels do. Heck, you don’t even need a kitchen for many things you could be whipping up. You could have a tomato tasting like the folks at the Winthrop Rockefeller Institute up on Petit Jean Mountain have every year. Speaking of which – they offer several cooking classes throughout the year. If you have the space, consider talking to restaurant chefs in your area. Perhaps you can work a trade-out and build a package together. Picture this. You arrange an overnight or weekend stay, where in the morning a chef from a restaurant offers a cooking class at your establishment. As part of the package, the guest gets to dine at that restaurant that evening. Take it a step further. What if your chef accompanies guests to the farm where a key item to be served that night at dinner is grown or raised? Meet your dinner, as it were. P. Allen Smith and his folks have been doing that for a while now. They pair up with a nationally known chef, bring that person to Moss Mountain Farm and have them work up something that’s growing on the farm – be it tomatoes, pumpkins, chicken, whatever. Guests visit the place where their food originates and then sit down for a meal of said food. And hundreds of folks sign up for the privilege. Let’s take it a step further than that. Say you’re in Stuttgart. What’s Stuttgart known for? Duck hunting and rice. In the right season, you could snare not only the hunter but the spouse. While the hunter in the family is out in the blind with a guide, the spouse (and I’m not naming who’s who – I mean, in my family, I’d likely be in the blind while the hubster would be kicking back in town) could meet with a chef, maybe even drive out to see what a rice field is like, come back and learn how to prepare a number of dishes. The hunter comes back in with whatever has been harvested that day, and both hunter and spouse participate in the preparation of the ducks. Everyone sits down together, has a great meal with their chef and go home at the end of the visit with the full experience. That’s not just farm to table, that’s air to table! And it doesn’t just have to be about cooking. A good daytrip for someone in Little Rock right now can be found just a few miles away in Scott. Right now the Plantation Agriculture Museum has an exhibit up they call “Ham and Eggs.” It’s about the historic raising and marketing of farm animals. Sound boring? Not to the culinary tourist. It’s a skip across the way to the Scott Heritage Farm, where Jody Hardin would likely (if they were willing) put them to work on the farm. I kid, mostly. Tour the farm, learn about the okra and the collard greens and the PurpleHull peas and the hogs and chickens. Then go over to Hardin Market right off Highway 165 and have some smoked chicken or pork ribs and some sides – all grown right there on the farm. It’d take maybe three hours, and it’d be memorable. You think it’s crazy? You haven’t been at Cotham’s Mercantile in Scott or Charlotte’s Eats and Sweets in Keo during lunchtime. It is fascinating to see the tour buses that pull up. People make special trips just to come eat a Keo Classic and some of that world-famous pie, or to get a Hubcap burger. There are people who go to Altus just to spend all day going from winery to winery. And then there are food trails. I’ve been doing a lot of my own research these past few years, following big stories for certain publications out there. I’ve done extensive cover stories on the best breakfast in Arkansas, the best pie. Been working on a catalogue of Arkansas burgers. And I have people who have told me they keep those publications in their car so when they go somewhere in the state and want a bite to eat, they have a handy reference. 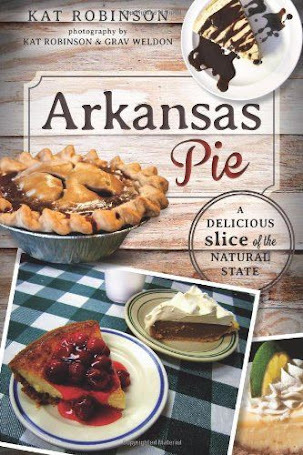 You can eat good pie all the way across Interstate 40 from west to central Arkansas – Fort Smith, Van Buren, Alma, Dyer, Lamar, Russellville, Morrilton, Conway, Little Rock… even out to DeValls Bluff. And from what I have heard, some have made that exact attempt. Bless their hearts. We can capitalize on that. 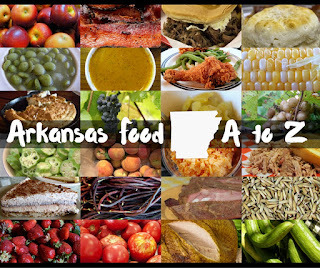 We can draw people into Arkansas to try our food, to learn about what and how we eat. They can take that information back to their home states and share it… and it’ll bring others out of curiosity. We keep at it, we share what we have and grow our food culture, next thing you know we’ll have the Anthony Bourdains of the world beating down our door. Burger joint of the week: Daisy Queen. An Arkansas Cheese Dip Primer.